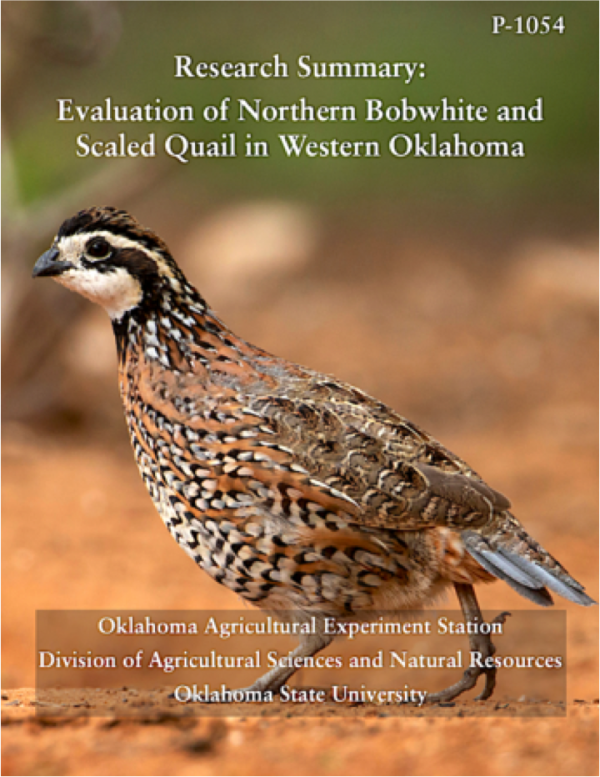 Due to concerns about declining quail populations, this cooperative quail study between OSU and the Oklahoma Department of Wildlife Conservation was established in 2011 on the Packsaddle and Beaver River Wildlife Management Areas. Broadly, the project was intended to document survival, nest success, brood success, habitat selection, genetics and movement of quail. The effects of hunting, energy development, prescribed fire, disking and temperature on quail were also examined, as well as an evaluation of various monitoring techniques for quail.